When living with a small backyard, adding a pool might seem like the furthest thing from your mind. After all, where is it going to fit without taking up the entire yard and venturing into the doghouse as well? 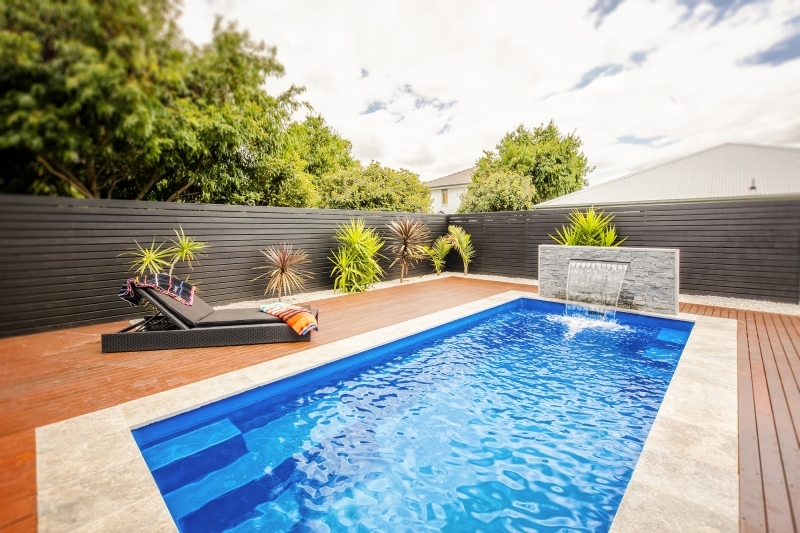 Fortunately, you absolutely can have your proverbial cake and eat it too, as modern pool designs have everything from swimming pools to spas that can fit into your backyard with ease – no matter how small. All that you need is some prudent planning and the best small backyard pool options laid out before you to make your pool dreams a reality. Here are the best swimming pools for backyards that are desperately short on space. Freeform pools very popular with homeowners regardless of the size of their yards, simply due to their irregular nature and the fact that they can fit in almost any setting. Following the curve of your backyard, you can easily design a freeform pool that wouldn’t take as much space as a traditional unit, yet is deep enough for the entire family to enjoy a nice swim. These pools are also known as naturalistic pools, as they are often made with natural materials. They can be decorated with natural elements and you can easily spruce up the surrounding area to create your personal backyard oasis. Reminiscent of the ancient Roman baths, the courtyard pool is another popular option among homeowners around the world, due to the fact that it is small and can easily fit into a tiny backyard. These pools often boast numerous benefits as well, such as a swim jet system, a curved seating area, and spa jets for a real pampering. Be wary though, these pools can be quite expensive depending on the type of unit your choice and its accompanying features. However, they can provide some much-needed style and comfort to your backyard the entire family can enjoy. A more affordable option that is constructed from resilient fibreglass and is more easily installed is the plunge pool. Plunge pools have become extremely popular in recent years across the world due to their quality, sturdiness, lifespan and minimal maintenance requirements as opposed their traditional counterparts. Additionally, they can be outfitted with numerous fancy features such as jets and massagers, complemented with their beautiful design. 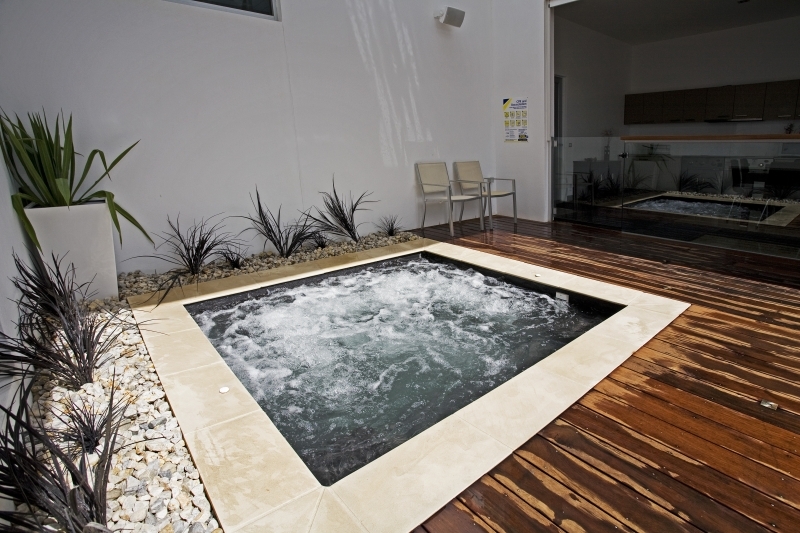 You can check out some modern plunge pool designs to find out about their characteristics and benefits in detail. 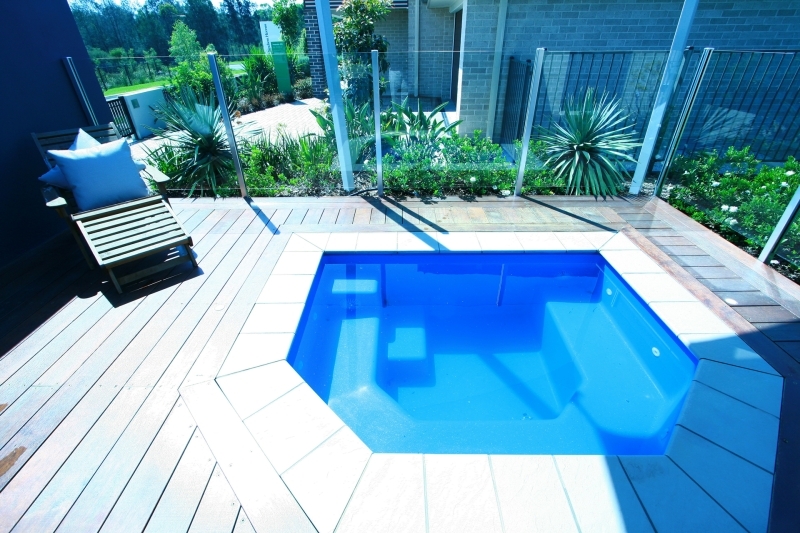 Plunge pools also come with non-slip surfaces making them ideal for safe family use. Swim spas are an ideal match for those of you who cannot decide whether to get a pool or a spa, but have a bit more room in your backyard. Merging the comfort and luxury of a typical spa with a pool design, you can enjoy yourself in the spa area while the kids go wild in the swimming section. This type of design is intended to fit everyone’s needs. The spa area is separated from the swimming area by a small section bridge, and the spa is usually large enough to accommodate up to six adults. You can also heat the two areas independently and enjoy a relaxing jet massage. Finally, you have the traditional spa. This option is for those looking to introduce a simple relaxation area or an outdoor bath to their backyard, without the need to enjoy the swimming fun of a plunge pool or a freeform design. Although interesting and useful to adults, the spa is not ideal for families, as it has limited seating, and simply isn’t interesting to kids that just want to play in the water and make a mess. Nevertheless, it is a viable option for those simply looking to create a little comfort zone in their yard. Having a small backyard is not a lifetime sentence you have to endure, but rather an opportunity to creatively use the space you have in order to build the pool everyone will enjoy. Be sure to research these contemporary options, and you will be swimming in your very own pool in no time.